FRIDAY FOLLOW-UP!!!! Round Robin: The Sidekick’s Revenge Gallery! 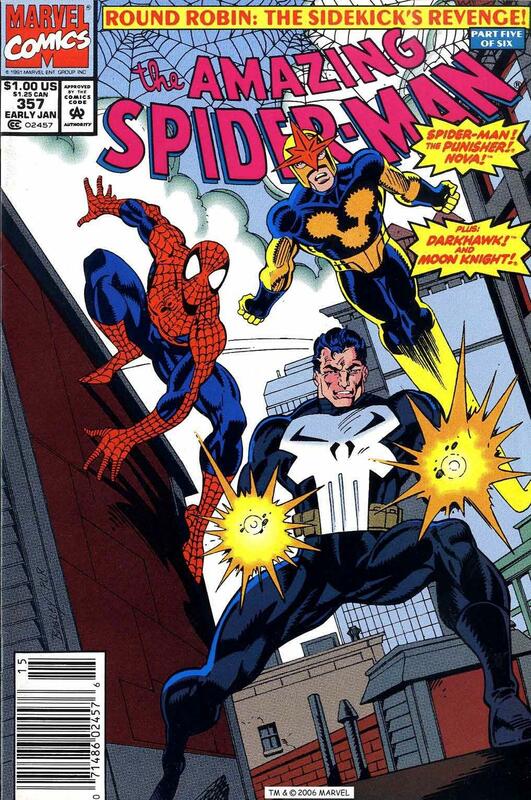 As I have mentioned, Punisher appeared in any and everything in the early 90’s. That skull meant sales for a sagging title for a long time, but of course, that same overexposire meant the demise of Punisher as a viable franchise for a few years (Angel Punisher anyone?). 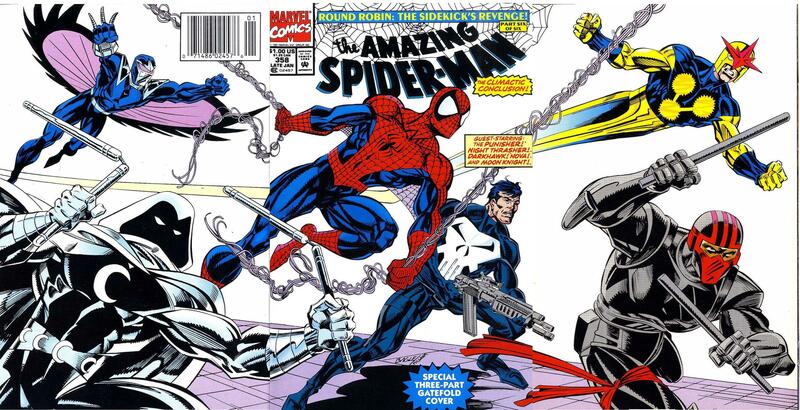 One crossover storyline that heavily featured Punisher that was also emblematic of the 90’s was the Amazing Spider-Man story, “Round Robin: The Sidekick’s Revenge”. 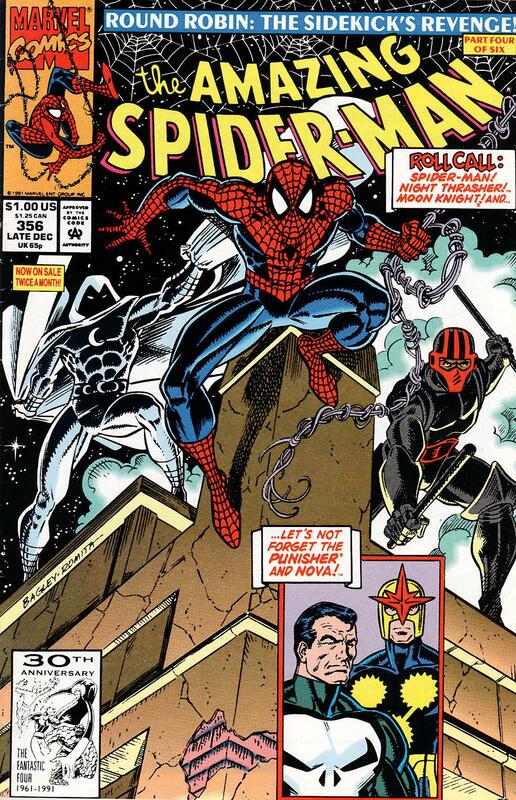 The story centered around Moon Knight’s sidekick Midnight, so I am unsure why this story wasn’t in that one book Marvel put out. What was it called? OH YEAH IT WAS MOON KNIGHT. 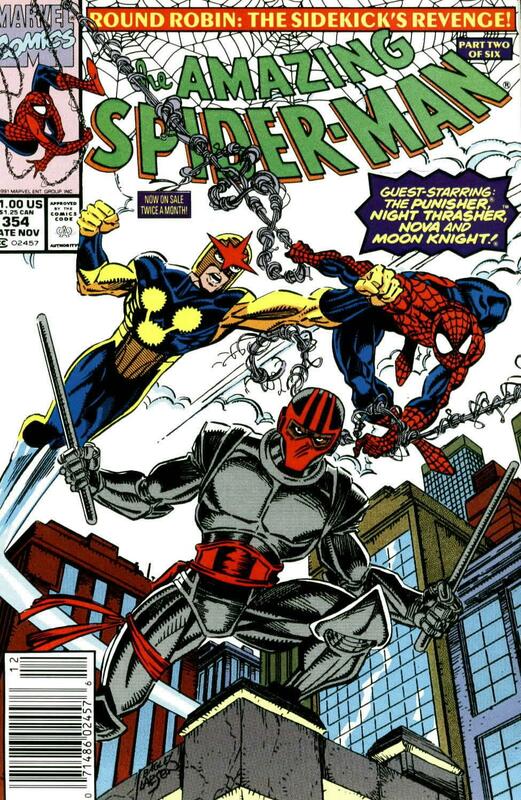 This story has every 90’s new guy in it, Darkhawk, Nova (who was a 70’s character making a comeback), Night Thrasher, and Moon Knight, of course. 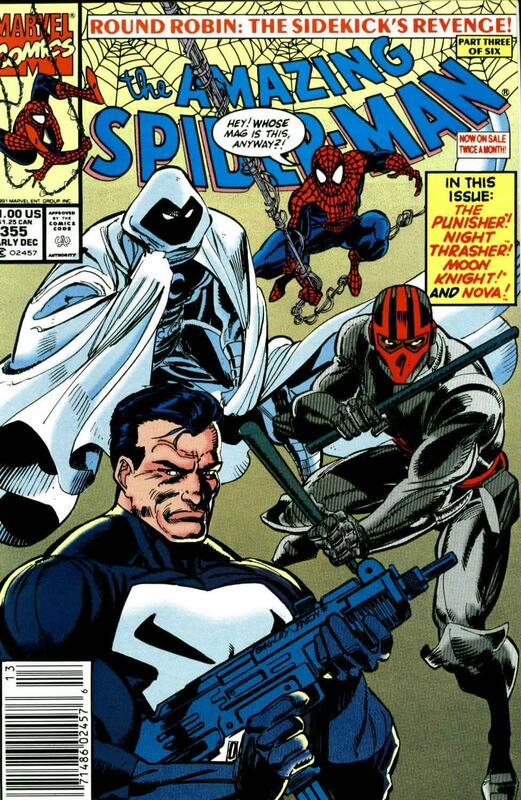 Punisher was also there, as it seems like Punisher and Spidey always guested in each other’s book. 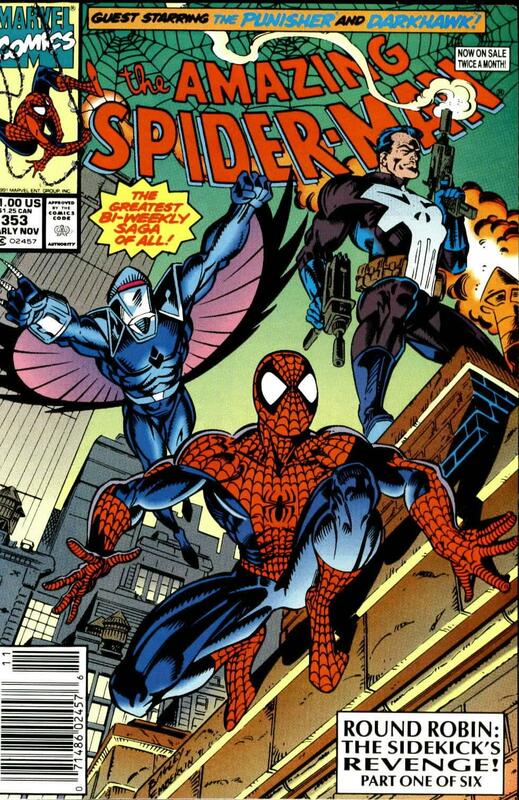 They were the sort of friends where if you were looking for Punisher, you found Spidey. Also, they don’t really care for one another, so I guess they aren’t like those sort of pals at all. But that doesn’t mean they don’t go well together, so take a gander at this awesome gallery of 90’s team-up goodness!!!! !